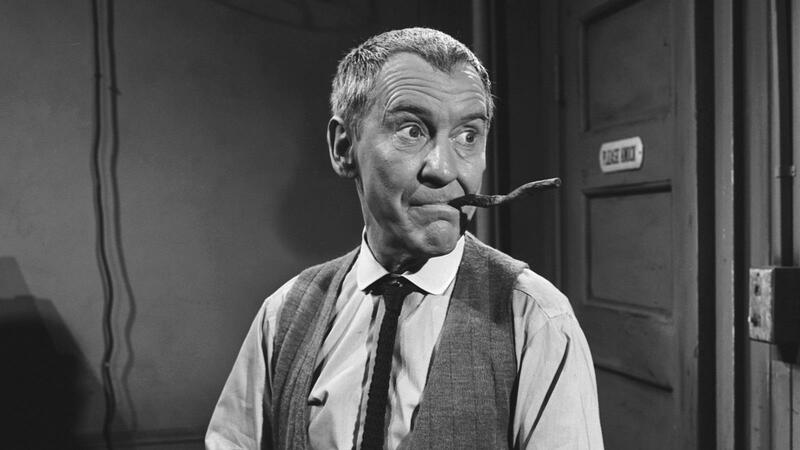 In 1963, CBS aired an episode of “The Twilight Zone” called “Printer’s Devil.” It starred the talented thespian Burgess Meredith. Surely you remember Meredith. In the 60s, he goofed around a bit as The Penguin on the “Batman” series. Then, in the 70s, he became inextricably linked to the Rocky movies as Mickey, the gruff but sagely pragmatic boxing trainer who worked out of a gritty gymnasium in Philadelphia. But in “The Twilight Zone,” he played the devil. Satan himself. And he smoked a culebra cigar throughout the entire episode. As you probably know, culebras are crooked, snake-like cigars sold in twisted braids of three. It even means “snake” in Spanish. Sure, cigars have been used as props for as long as movies and TV shows have existed, but this is different. Can you recall a culebra ever making an appearance on television? I can’t. Yet, that twisty, serpentine cigar corkscrewed out of the side of Burgess Meredith’s sinister mouth for most of the episode. To cigar smokers, the symbolism should be pretty obvious. The snake is an Old Testament, biblical representation of the devil (think Garden of Eden), so having Satan smoke a culebra is a clever touch. I particularly like that fact that the symbolism is subtle and never explained to the viewer. At no point in the episode does anyone make mention of the snake-like cigar. Either you picked up on it or you didn’t. That’s a far cry from today’s television programming where jokes are explained, themes are heavy-handed and any attempts at symbolism are spelled out in the dialog—just to make sure you get it all. I think movie and television executives are scared that the general public just won’t get the punch lines or are unable to understand the themes, so they dumb down the material by making sure everything is explained. Frankly, it’s insulting. So consider this episode an example of television from a time when American viewers weren’t taken for idiots. Cuba still produces the Partagás Culebras on a regular basis. Like all of “The Twilight Zones,” the plot in this episode is as twisty and diabolical as the culebra cigar itself, but I found myself wondering: what cigar brand was it? The episode was aired in early 1963, so it was probably shot in 1962, not too long after the Cuban embargo was put into place. Surely, there were still some Cuban cigars floating around the market. Assuming that the culebra was in fact Cuban, it could have only been a handful of brands. Not too many companies made culebras. It could have been an H. Upmann or a Romeo y Julieta or even a Partagás. But it could have also been a Hoyo de Monterrey. Coincidentally, we have some of these old Hoyo culebras from the 1950s in the Cigar Aficionado office humidor. Executive editor David Savona smoked one for our Connoisseur’s Corner and gave it 92 points. He called it “a curiosity that’s not too complex but still fun to smoke.” Sounds about right. It was probably a mild smoke back when it was first made. After 60 years, old culebras are far more interesting as a relic of cigar history than as something to smoke. I imagine that these are even more rare than your average vintage cigar, as a quick Internet search for Hoyo de Monterrey Culebras brings up nothing except for a photo on an old size chart from the 1950s. If you’re interested in trying a culebra, there are still companies that make these reptilian smokes. Cuba still produces the Partagás Culebras on a regular basis. And plenty of other companies make them (or have made them) on a limited basis. You might still be able to find culebras by Illusione, La Flor Dominicana, Davidoff and Tatuaje on the shelves of your local cigar shop. Even Oliva made a few in the Serie V variety. So what’s the story behind culebras? The one that you hear the most is that culebras were created for factory workers to smoke. The crooked shape assured factory managers that their employees weren’t smoking regular commercial stock. Culebras were the daily allotment. Smoking any other cigar would be considered stealing. I guess it sounds plausible, but this is no longer a factory practice. Not in any factory I know of anyway. Whatever the story, culebras today are simply a novelty item. Something to ponder over as you unbraid one of these curiously crooked coronas. A cigar for the inquisitive or the open minded. At the very least, it will be a conversation starter at your local lounge or cigar bar—in the Twilight Zone.